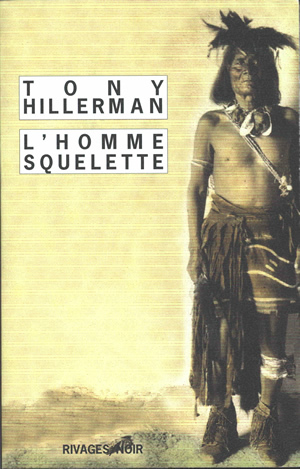 This is the French pocket edition of Tony Hillerman's novel Skeleton Man. It was published in 2008 by Éditions Payot & Rivages, Paris, France. Hillerman's text was translated into French by Danièle and Pierre Bondil. The inside front and inside back covers are blank. The back cover displays the publisher's imprint, bar code, and price. Binding: Four-color paper covers with author name, title, and publisher's name.